James Madison 4th U.S. President James Madison, Jr. was a political theorist, American statesman, and served as the fourth President of the United States. David Hume James Madison Biography U.S. President (1751–1836) EDUCATION College of New Jersey (now Princeton University) PLACE OF BIRTH Port Conway, Virginia PLACE OF DEATH Orange County (Montpelier), Virginia AKA James Madison NICKNAME "Father of the Constitution." 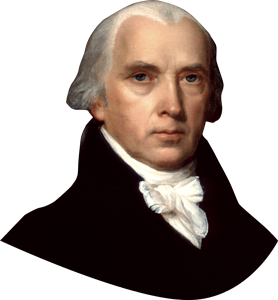 The fourth U.S. president, James Madison believed in a robust yet balanced federal government and is known as the "Father of the Constitution." 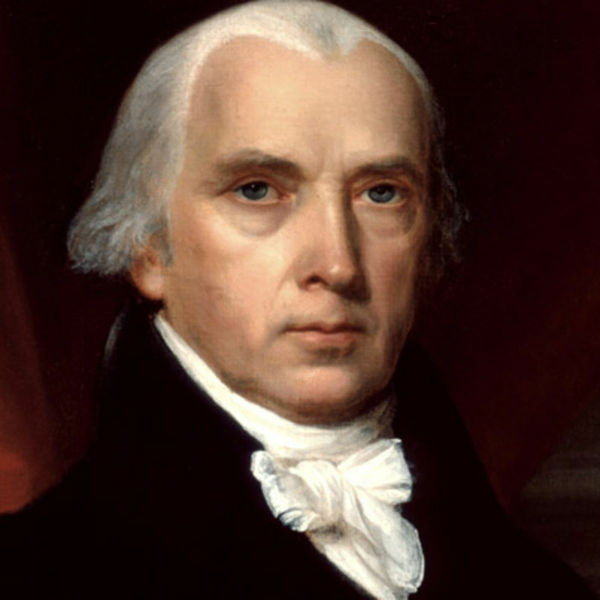 “The advice nearest to my heart and deepest in my convictions is that the Union of the States is cherished and perpetuated.” —James Madison James Madison drafted the U.S. Constitution and sponsored the Bill of Rights, earning him the nickname "Father of the Constitution." Synopsis Born on March 16, 1751, in Port Conway, Virginia, James Madison wrote the first drafts of the U.S. Constitution, co-wrote the Federalist Papers and sponsored the Bill of Rights. He established the Democrat-Republican Party with President Thomas Jefferson and became president himself in 1808. Madison initiated the War of 1812 and served two terms in the White House with the first lady Dolley Madison. He died on June 28, 1836, at the Montpelier estate in Orange County, Virginia. 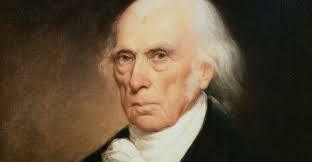 Early Life One of America's Founding Fathers, James Madison helped build the U.S.
Constitution in the late 1700s. He also created the foundation for the Bill of Rights, acted as President Thomas Jefferson's secretary of state, and served two terms as the president himself. 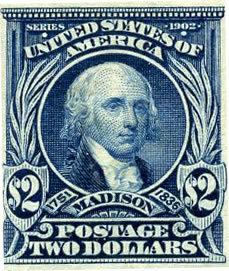 Born in 1751, Madison grew up in Orange County, Virginia. He was the oldest of 12 children, seven of whom lived to adulthood. His father, James, was a successful planter and owned more than 3,000 acres of land and dozens of slaves. He was also an influential figure in county affairs. Revolutionary Times Returning to Virginia in 1772, Madison soon found himself caught up in the tensions between the colonists and the British authorities. He was elected to the Orange County Committee of Safety in December of 1774 and joined the Virginia militia as a colonel the following year. Writing to college friend William Bradford, Madison sensed that "There is something at hand that shall greatly augment the history of the world." Father of the Constitution In 1787, Madison represented Virginia at the Constitution Convention. unconstitutional. Still, the measure was passed by 1791. In 1801, Madison joined the administration of his longtime friend, Thomas Jefferson, serving as President Jefferson's secretary of state. He supported Jefferson's efforts in expanding the nation's borders with the Louisiana Purchase, and the explorations of these new lands by Meriwether Lewis and William Clark. In Congress, a group of vocal politicians started to call for a war against the British. These men, sometimes known as "War Hawks," included Henry Clay of Kentucky and John Calhoun of South Carolina. While Madison worried that the nation couldn't effectively fight a war with Great Britain, he understood that many American citizens would not stand for these continued assaults on American ships much longer. The United States declared war on Britain in June of 1812. 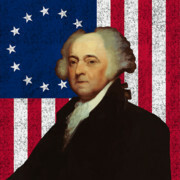 While his party supported this move, Madison faced opposition from the Federalists, who nicknamed the conflict "Mr. Madison's War." In the early days of the war, it was apparent that the U.S. Navy was outmatched by British forces. Madison still managed to win the presidential election a few months later, beating out New York City Mayor DeWitt Clinton. The War of 1812, as it is now known, dragged on into Madison's second term. The conflict took a dark turn in 1814 when British forces invaded Maryland. As they made their way to Washington, Madison and his government had to flee the capital. British soldiers burned many official buildings once they reached Washington that August. The White House and the Capitol building were among the structures destroyed. Final Years Leaving office in 1817, Madison and Dolley retired once again to Montpelier. Madison kept himself busy by running the plantation and serving on a special board to create the University of Virginia, with the help of Thomas Jefferson. "The advice nearest to my heart and deepest in my convictions is that the Union of the States is cherished and perpetuated. Let the open enemy to it be regarded as a Pandora with her box opened; and the disguised one, as the Serpent creeping with his deadly wiles into Paradise."